Sorry, this job expired on Mar 2, 2019. Below are other jobs that may be of interest to you. 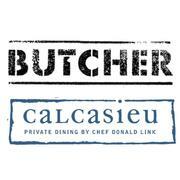 Calcasieu is looking for Banquet Servers. The Banquet Server performs all tasks associated with setting up, serving, and breaking down of function rooms where banquet food service activities are performed. He / She is responsible for the prompt, courteous, smooth and efficient service of food and beverage to guests during banquet functions. Banquet Servers work on a part time and/or seasonal schedule as needed. • Read and execute specifications listed on the Banquet Event Orders. • Attend all pre-shift meetings to ensure events flow smoothly. • Assist in ensuring that each event are on time as per the banquet event course. • Maintaining proper dining experience, delivering items, fulfilling customer needs, removing courses, replenishing utensils, refilling glasses. • Greet all guests and owners warmly with an appropriate greeting. • Have a good understanding and able to communicate products and service related query to guests when asked. • Deliver and serve welcome drinks, food, meals, condiments and accompaniments etc. • Properly open and pour wine at the table side. • Ensure guest satisfaction throughout the meal service. • Respond to guest requests in a friendly, timely, and efficient manner. • Clear each course properly and maintain table maintenance. • Monitor and maintain cleanliness, sanitation, and organization of assigned station and service areas. • Assist others with side work including, but not limited to cleaning, stocking, folding silverware, etc. • Adhere to grooming and appearance standards consistently. • Assist fellow team members and other departments wherever necessary to maintain positive working relationships.